Join us every AHA! night from 5:30-8:30pm as we share in an Alternative Community Gathering celebrating this month's theme Sustainable Southcoast. 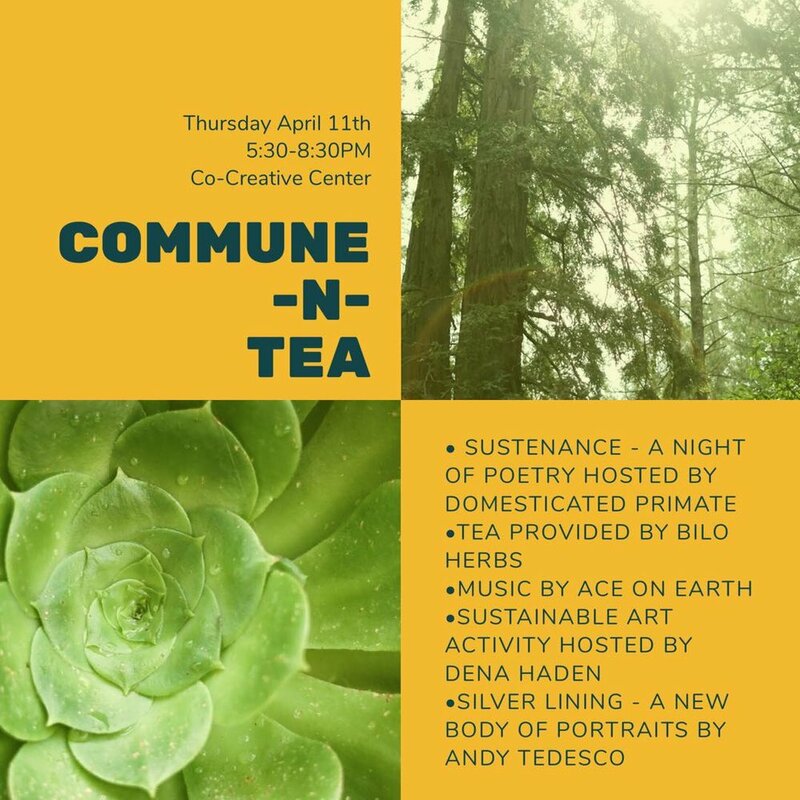 This collaborative event at the Co-Creative Center offers nourishing teas from Bilo Herbs , uplifting DJing brought to you by Ace on Earth, an "upcycled art workshop" hosted by Dena Haden, Sustenance- a night of poetry hosted by Domesticated Primate. The mission of Commune-n-Tea is to bring people together in the spirit of creation and connection, in a healthy and inspiring environment, in hopes to inspire individuals and our community.